Selfie sticks finally crossed the line from obnoxious to deadly. It was just a matter of time. A guy from England was hiking a mountain in Powys, Wales this weekend when a thunderstorm suddenly hit. He took out his selfie stick to get a sweet picture of himself in the storm. Because let's face it, that's just what you do in 2015 when you're hiking a mountain in Wales during a thunderstorm. His selfie stick had some metal in it, so it was basically like he was holding up a lightning rod. 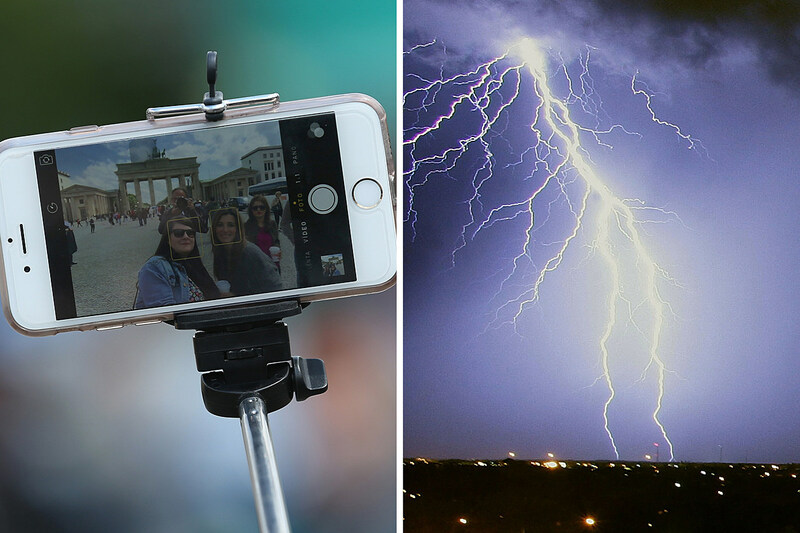 And right on cue, a bolt of lightning hit the selfie stick, traveled through his body, and killed him on the spot. There you have it, the world's first "death by selfie stick." Something tells me it won't be the last.